Hey Lovelies, long time no speak! As a lot of my long term readers will know my blog started out as The Jewel Beauty Blog where pretty much all I talked about was pretty make-up, especially lipsticks and glosses. More recently I have changed the direction of my blog and have been focusing more on lifestyle, travel and well being. However, I'm not one to forget my 'roots' and I'm really excited to talk about some stunning new Lancôme lip glosses today! Lancôme is a brand that has become far more prominent in my make-up collection the past two years and I have noticed such a difference in their product range since the amazingly talented Lisa Eldridge became creative director. Lancôme now lead when it comes to innovation in my eyes and they're always releasing new and exciting products. I was lucky to be sent some new goodies to try recently and of course wanted to talk about these three stunning glosses first! I've always loved lip gloss, but like most people I'm not a fan of the gloopy formulations. However, there is no need to worry about that with these glosses, as they all have a dreamy consistency and a heavenly cushioned wand applicator! Beige Muse is my idea of the perfect gloss shade; a beautiful pinky beige that can enhance pretty much any look and layer over pretty much any shade. It has a beautiful shimmer, which is undetectable on the lips (no grit) and a lovely non-sticky texture. I'm already obsessed with layering this over my Charlotte Tilbury Penelope Pink lip. When I opened the packaging for Rose Caresse it was love at first sight! I love subtle pink shades, which look so pretty with a delicate smoked eye and a glowy base. I would say this is probably my favourite of the three, as the pigmentation is just right and like the others the formulation and application is effortless. 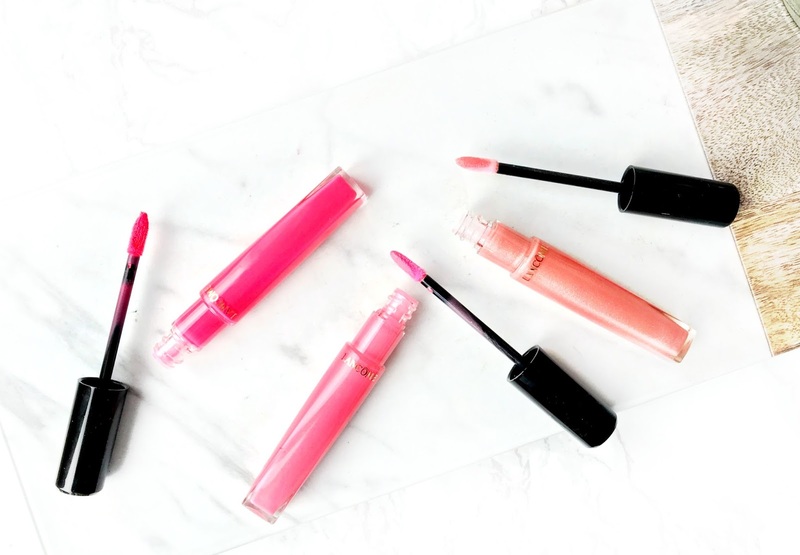 I must admit bright pink shades and matte lip products generally scare me off, but the L'Absolu Gloss Matte range offers an ultra-creamy texture with a high pigmentation and a velvet matte finish. I love that the finish has a velvety element too it and the shade is very brightening on the face. I probably won't reach for this everyday, but with a bunch of festive celebrations coming up, I think this will be the gloss I will be opting for. Overall, I really do like these three glosses! They're different in finish, but all offer precise application , a non-sticky base and most importantly a good level of hydration! Have you tried any Lancôme products recently? I've been lucky to visit many beautiful places in the world, but somehow Italy has escaped me, which is strange as I pretty much love everything about Italy... of course the pasta, but I have many great Italian Friends and I'm always in awe when I see friends and family's vacation pictures. A place in particular that has always interested me is Sicily; a real jewel in the Mediterranean just off the "toe" of Italy's boot. A few of you might know that I've been trying to incorporate more travel into my blog along with guides of places I've been, but also sharing new places I would love to visit in the future. I've done my research and Sicily looks fascinating! With an array of cultural attractions, stunning beaches and sparkling water, what's not to love? I've also always been obsessed with mountains and it seems like Sicily has some of the best, especially its great volcanoes that symbolises the outstanding natural beauty of the charming region. Anyone who knows me will know I'm a total foodie! I love food and lots of it (hence why my diet isn't going too well) Italian cuisine has always been my favourite, I love everything from indulgent pasta dishes to fried calamari and grilled lobster. I actually found this fantastic dining article with some great suggestions, my mouth is watering! I've grown up to really appreciate the natural beauty of nature and how it can do the world of good for you to experience new countries, it's true travel really does make you richer! Sicily has some truly majestic mountains, especially Mount Etna, which I would love to visit. With a beautiful collection of rustic hotels and picturesque villas, I definitely feel like planning a last minute holiday to Sicily! Plus these gorgeous villas have views to die for. I can imagine a gorgeous family vaction/celebration, or even a romantic getaway! A few friends of mine have passed through the capital city of Palermo and have told me about its rich mix of cultures including, Arabesque domes, souk-like markets, Gothic palaces and many other ancient sculptures. It's definitely a city I would like to visit if I visited Sicily. Who doesn't love a little retail therapy here are there? Shopping in Sicily looks fantastic, a range of rustic markets combined with more modern day shopping malls. I love nothing more than popping into independent shops and stopping off for copious amounts of coffee when I'm in a vibrant new city! Have you visited Sicily, or is it a place you would like to visit in the future? With last week being #NationalSpaWeek I wanted to talk a little about my recent experience at The Forum Spa and also share a few reasons why a spa day might just be what you need right now! - I've visited the award winning Forum Spa on a few blissful occasions and I absolutely love returning. 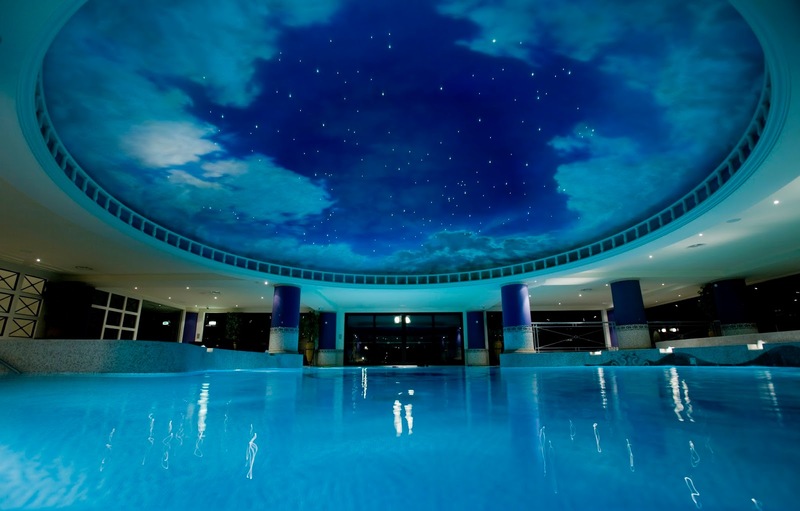 The Forum Spa is located within the prestigious and world renowned Celtic Manor Resort and offers a tranquil haven where you can relax, unwind and immerse yourself in five star luxury. Whether you're looking for a revitalising facial, deeply relaxing massage or a truly sensory experience, you will be able to find something to ease your mind, body and soul from the impressive treatment menu. I've been lucky to try a few of the stunning treatments that The Forum Spa have to offer and really enjoyed working alongside the spa during #NationalSpaWeek. I would definitely recommend trying the Herbal Steam Temple; a majestic experience that will leave you reaching for the stars and also the targeted Elemis Superfood Pro-Radiance Facial; a nutritious treatment designed to breathe life back into stressed skin with energising, detoxifying actives. However, don't just take my word for it... there are so many indulgent treatments and spa days for all different concerns/occasions. 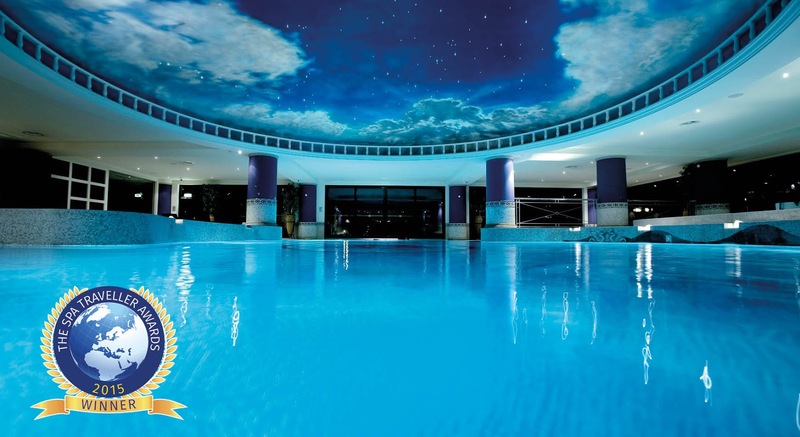 Here are five reasons to visit The Forum Spa! If you've never been to The Celtic Manor before, then it's a real feast for your eyes. Not only do you have the award-winning Forum Spa with a treatment menu to die for, there is also endless amounts to do! Whether you're looking for a new foodie experience, or perhaps to seek fun and adventure, there really is something for everyone. The Forum Spa has probably the most beautiful pool I've ever seen. Decorated like the night sky, the pool is really a masterpiece that makes your spa experience that extra bit special. Each changing room also has its own spa facilities, including a beautifully decorated Jacuzzi, steam room and sauna. Anyone who knows me well will know I'm obsessed with Elemis and skincare in general. 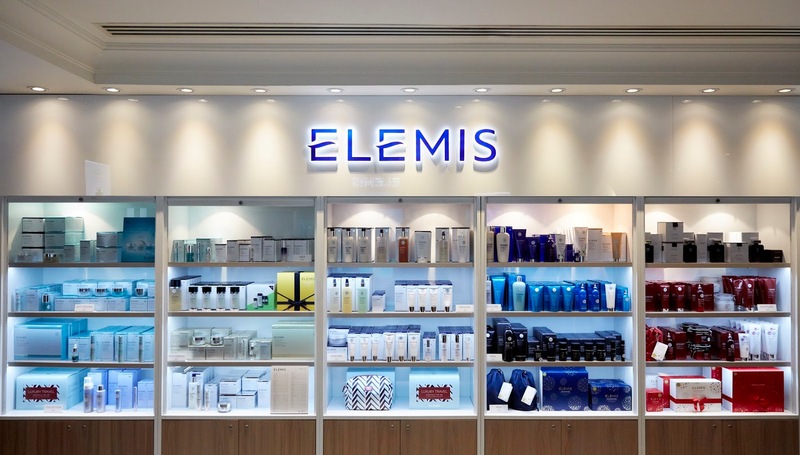 Elemis have over 25 years experience in creating revolutionary products for every skin and body concern. Their products encompass the most powerful biological actives from the earth's surface allowing their treatments to provide truly remarkable results. As I mentioned earlier The Forum Spa has some pretty impressive signature treatments, which form The Forum Collection. The Herbal Steam Temple offers the ultimate sensory experience, perfect to enjoy as a couple or with friends. The Herbal Steam Temple is a traditional Arabian cleansing ritual, which involves chakra mud's to help specific areas of the body, infused steam and a tropical rain storm to wash away every last drop of tension. 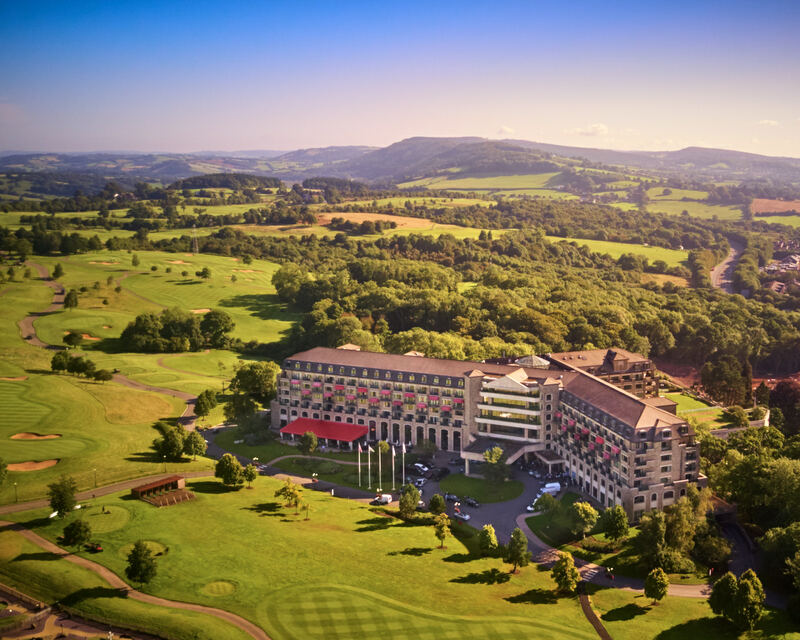 On the same level as The Forum Spa, The Celtic Manor has recently opened the stunning and opulent Champagne and Beauty Bar offering heavenly pampering, beautiful brows, luscious lashes, flawless make up and pristine nails and toes! If that doesn't already sound good enough, then order yourself a glass of fizz to accompany your experience. They also have a VIP experience called the Luxe Lock In, which you need to seriously check out if you're looking for a sassy celebration. So whether you're looking to celebrate a special occasion, or simply indulge in some important 'me time' The Forum Spa has a fantastic experience for everyone.